Veiled by a serene collection of pine and dogwood trees, *NorthBay at lake Arrowhead* offers an ideal mountain retreat. 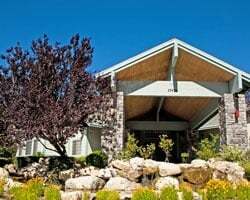 The resort boasts a plethora of nearby recreation including skiing, hiking, horseback riding, and boating - all the while presenting the visitor with a beautifully rustic mountainous encounter. 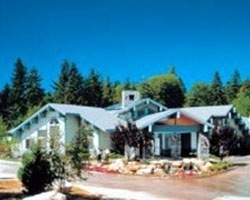 Adventure all day, or relax at the resort's indoor heated pool and spa or redwood saunas. Whichever you choose, at the day's end be sure to look up and observe the brilliance of the Arrowhead nighttime sky. No matter how you wish to spend your vacation - on the go, or luxuriating in the peace and quiet of the National Forest - Lake Arrowhead is ideal for everyone! Buyer will have immediate usage! Perfect resort for peaceful and relaxing vacations! Buyer may receive a title fee credit, inquire for details! High season week 1- week can also float. Also great for exchanges! Buyer receives complimentary closing credit, inquire for details. 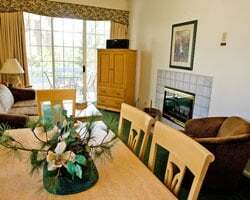 Floating week in even years at this tranquil retreat in the San Bernardino Mountains! Buyer may receive a title fee credit, inquire for details! Beautiful 2 bedroom, 3 bath lockout suite! Scenic, gated mountain retreat with endless activities! Even years usage in a floating, Red season week! Make your offer! Fabulous mountain getaway in a gated community! Yearly usage in floating, Red season week! Split lockout & get 2 weeks! Negotiable; rare resale! Get away from the everyday stress! Resort features many activities and amenities! Buyer may receive a title fee credit, inquire for details!